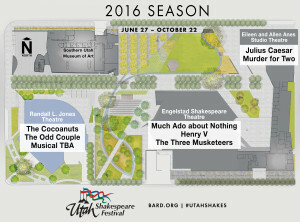 CEDAR CITY — The upcoming 2016 is a big year at the Utah Shakespeare Festival, and the leadership team is excited to share the much-awaited announcement of the 55th season, running three Shakespeare classics, three musicals and two comedies from June 27 to Oct. 22. Taking shape on the campus of Southern Utah University is the Beverley Taylor Sorenson Center for the Arts, which will house the festival’s new outdoor theater, the Engelstad Shakespeare Theatre; the Eileen and Allen Anes Studio Theatre; and needed production, rehearsal and education space. The center for the arts on SUU campus is sure to become an arts mecca and one of the premier arts destinations in the West, according to a press statement issued by the Utah Shakespeare Festival. Excitement and anticipation is rising everyday as the buildings take shape. Opening in the outdoor Engelstad Shakespeare Theatre will be “Henry V” by William Shakespeare. This is the final play in the “Henry IV” tetralogy and a continuation of the festival’s commitment to the history cycle. In “Henry V” audiences will watch as young prince Hal takes the throne to become one of England’s finest kings. 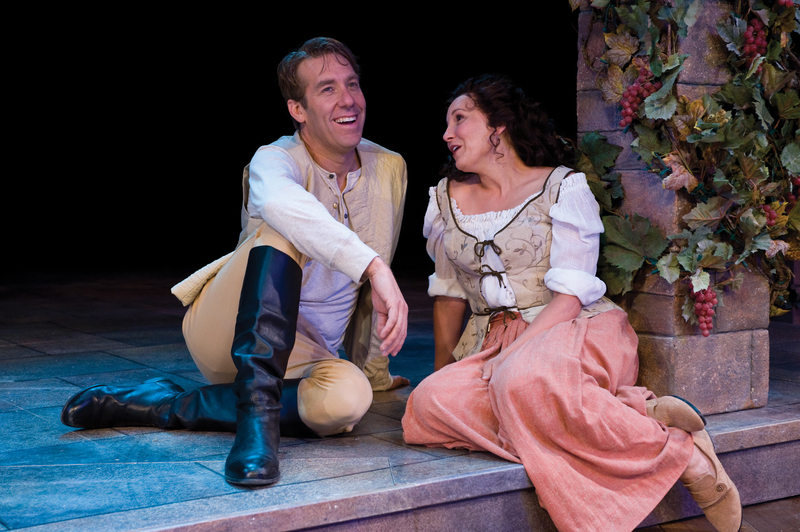 Audiences can rest assured that the open-air Engelstad Shakespeare Theatre will have the same intimate actor-audience relationship they’ve grown to love. In fact, the Engelstad will enhance the experience for both our audience members and our company. It will follow the federal Americans with Disabilities Act guidelines, have additional restrooms and will be on the same side of the street as the Randall L. Jones Theatre. 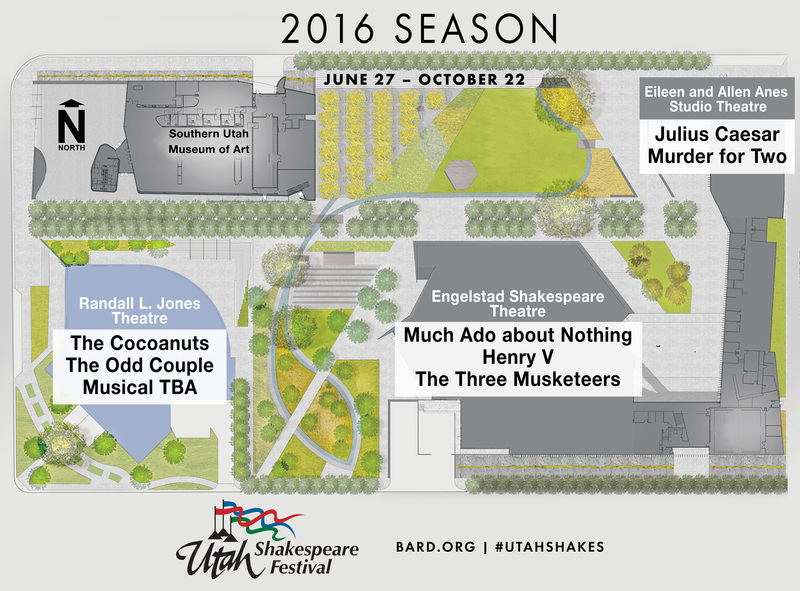 The new theater is the next step in further elevating the capacity of the Utah Shakespeare Festival to continually produce artistic, relevant and meaningful productions of William Shakespeare’s work, according to the statement. With final details pending, another popular family musical will be added to the Randall mix and announced soon. The festival is thrilled to open the Eileen and Allen Anes Studio Theatre, a 200-seat theater, which will provide a third, flexible option for smaller, more intimate plays. The first play to be produced in the Anes Studio Theatre will be Shakespeare’s powerful political drama, “Julius Caesar.” It’s an action packed drama perfect for an election year. It’s a play that still resonates with today’s modern audience. And rounding out the Festival’s programming is a new musical murder mystery, “Murder for Two,” which features just two actors. One actor investigates the crime. The other plays all the suspects. And they both play the piano. It’s a musical that will keep everyone on their toes. “Murder for Two” features book and lyrics by Kellen Blair and book and music by Joe Kinosian. With so much changing in 2016, the festival will still offer props, costume, actor and literary seminars, orientations, green shows and backstage tours of the new facilities. Tickets for the 2016 season go on sale Aug. 4. They will be available through the festival website, by telephone at 800-PLAYTIX or at the ticket office.